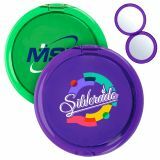 Promotional compact mirrors make excellent giveaways for conventions, tradeshows and promotional campaigns. 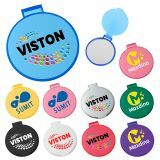 ProImprint has a delightful selection of custom logo compact mirrors in all possible shapes and sizes to cater to your promotional needs. Shop today and avail some of the best offers and deals that cannot be matched by many others. We offer the lowest price match guarantee, FREE set up and artwork assistance on every order, discounts on bulk purchases, rush orders, quick shipping and much more! 100% customer satisfaction guaranteed! 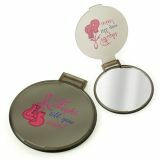 Custom compact mirrors that bear your logo will surely reflect your business message in true elegance! 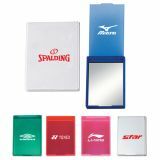 Personalized compact mirrors can be used to promote a range of business lines including spa, beauty salon, ladies apparel stores, dance classes and the like. Give away these custom logo compact mirrors that they will be using daily and enjoy a brand display every time they take a look at their faces on these mirrors! It is impossible for your customers to resist these practical and stylish accessories of custom compact mirrors, which are designed to last a life time! 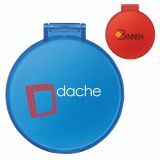 Promotional compact mirrors will flaunt your brand, business message or artwork for the whole world to see. Compact and sleek, custom mirrors make handy accessories for travel and office as these make quick-pick-me ups that can be slipped into their purse or pocket. 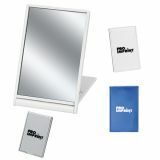 Cost effective and extremely popular, custom mirrors make excellent promotional giveaways for mass events. ProImprint offers custom mirrors in a palette of bright colors to match your brand theme. 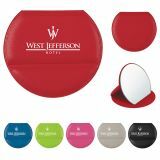 Imprint your brand and give these away to see your brand becoming the talk of the town in no time! Shop online in bulk and make huge savings at ProImprint to make your brand promotional campaign a success. Custom pocket mirrors are essential accessories in travel bags and briefcases to ensure a quick touch-up wherever they are! 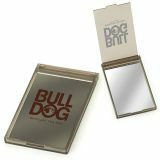 Be in the airport lounge, office lobby or shopping mall, people like to look their best and these custom compact mirrors will ensure a well-groomed look for them at all times. Sleek and attractive, these custom mirrors will win hands down as crowd pleasers and your logo on these will never fail to grab the attention of the outside world! Personalized compact mirrors from ProImprint can be gifted as wedding favors or gifts for anniversaries, milestone celebrations or for employee appreciation. Every time your employees take these stylish mirrors out in the gym or on the move, your logo will be put on a proud display. ProImprint offers a range of custom compact mirrors to cater to the diverse tastes of your customers. Shop online with ease or call us at 844-776-4677 or email us at info@proimprint.com for selection tips or orders and we will always assist you.